Before you go and press play on “We Made It,” check out these selections from the RSD18 vault that are sure to have you doing it in the park. Record Store Day 2018 is here, and we in the WDBX music department have to do our diligent duty as curators and taste makers to giver you a smattering of picks from the expansive (this year, almost 500). Rap music and many of Weedbox’s products have shared a similar lineage. Feared, maligned, seen as evil, controlled – and now MORE POPULAR THAN EVER. Before you go and press play on “We Made It,” check out these selections from the RSD18 vault that are sure to have you doing it in the park. Harlem’s finest. Your favourite rapper’s favourite rapper’s favourite rapper. Cameron Giles & Diplomat’s run through the top of rap game began in earnest with Come Home With Me (and it’s monster hit singles “Hey Ma,” “Welcome to New York City” and “Oh Boy”). This crew tore through music, fashion (Dipset cape), films, sports, and most importantly – the Dipset revolution went right through the heads. Cam’ron will never get too rich, too fancy, or too crazy to forget that his core fan base is people who love hilarious street rap over hard and progressive beats. Purple Haze was the record you could tell he had always wanted to make, this record reeks of the kind of fun you can have with total creative control and a robust bank account. 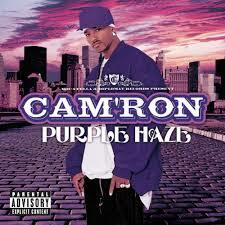 It’s a joyous exaltation of street knowledge, witty excellence, and effervescent embrace of success. The collaborations with Kanye marked this album as a special treat, but front to back it’s an example of exquisite rapping of masterful beats. They were already legends in the rap community, but Black Sunday put footprints in the wet cement of rap history marking these dudes as epitome of a stoner rap group. Although, they never really got this good again, it’s a blessing from the rap gods to get new tracks from the era, as well as remixes of certified hits like “Insane In the Brain” and “Hits From the Bong” by people as pedigreed as Diamond D.
This music pairs perfectly with any product at all available in the WDBX store. This venerable Mississippi emcee and producer has been on the vanguard of the “dirty south” since before the world embraced the term. Not resting on laurels, nor cranking out easy features as the old head on pop records, Banner continues to speak truth to power, make beats that bang, and having some fun along the way. 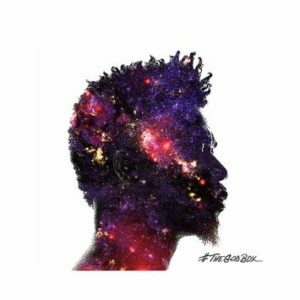 This record is also a deep spiritual meditation, Banner is considering his place in a violent and corrupt America, and evaluating many of the tropes that have given him a rap career through the lens of Black Lives Matter 2017. The guests on this record are wild, running from perennial feature kings like Cee-Lo and Black Thought through the crooning of Raheem Devaughn. The sonic palette mirrors this diversity with a jambalaya of keys, guitars, choirs, drums – songs taking divergent paths into soundtrack and instrumental territory, yet there are half a dozen joints that have probably been run back in gentleman’s clubs south of the Mason Dixon Line.. In a calendar year where the politics, breadth, and sensitivity of Kendrick Lamar’s DAMN and Black Panther OST melted the mind of every snowflake-y music critic, The God Box was low-key on every true school rap fan’s list, and has been blessed with a much deserved vinyl release on purple vinyl. The songs are short. The sound is dense. The message is urgent. Get baptized in the dirty water and come out purified. Since his untimely demise in 2006, J Dilla has been universally exalted as the most soulful, creative, and influential hip-hop producer ever. Too often excluded from the media’s Dilla hagiography is the fact that he was an excellent rapper. Dilla was a fountain of creativity, and when his release schedule hit label road blocks at MCA, he took to the studio and self-produced this record in 2003. 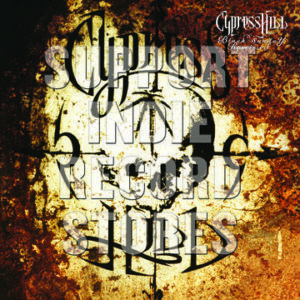 For too long the 2003 vinyl was out of print (having been released on German imprint Groove Attack), and the Stone’s Throw Records reissue in 2007 moved only modestly. That record is included here, as re a new (to us) version of the project. 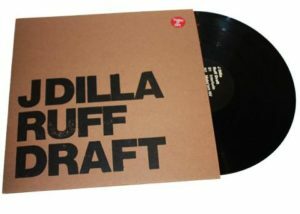 The new version of Ruff Draft is comprised of the original mixes taken from tapes found in Dilla’s personal archive. If your head can nod and your mind can expand, it goes in your cart, and then in your ears. Through feuds, fame, money, and adoration, J Dilla always kept it moving, never dwelling in the past, letting the beat go on as he tapped it along. This posthumous trip through his past visions is a small condolence for those of us who wish he was still here. Through four stellar releases and a collaboration with MF Doom, the hip-hop community has been delighted by the sample laden mindspray of Czarface. This supergroup, made of beantown backpacker legends 7L and Esoteric with Wu Tang’s consistently ill Inspectah Deck has delivered a special treat for fans of this brand of fun, irreverent, colourful, but still hard as pavement rap. This group has revelled through their artwork in the intersection of comic iconography and hip-hops predilection for superhero and superpower mythology. This RSD release comes with a comic book (ahem, it’s graphic novel) by Gift Revolver and accompanying 7” record designed to be listened to while taking in the book. 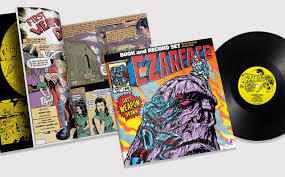 The Czarface oeuvre is the natural extension of Wu Tang provenance that gave birth to Deck and a place for the too often overlooked 7L & Esoteric to collaborate with the best (Dj Premier, Oh No, Ghostface, Large Professor, Method Man, Beatnuts – and more). This is what happens when democratizing production tools and freedom from the shackles of big label deals let 90’s hip-hop luminaries shine on their own terms. Jason Parker Quinton is a writer, DJ, and comedian from Winnipeg Manitoba. He can almost always be found in West Toronto.